Brooklyn, NY— AOP (American Opera Projects) is awarded a grant of $12,600 in the first year of OPERA America’s Building Opera Audiences grant program generously funded by the Ann and Gordon Getty Foundation. This new grant program supports the efforts of North American opera companies to build informed, enthusiastic audiences for opera through innovative marketing projects. AOP is one of 13 organizations in the U.S. and Canada to receive funding totaling $300,000. A record-setting 67 applications totaling nearly $2 million in requests were received by OPERA America, demonstrating how vital audience development programs are to opera organizations today. 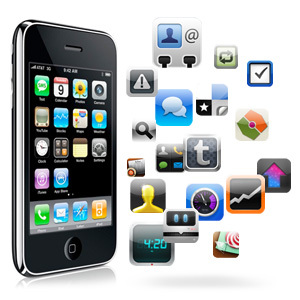 The award will support AOP in the creation of a mobile application, currently entitled “Have a Voice,” to engage and expand opera audiences. By utilizing technology to foster feedback and discourse, the new platform aims to attract a technologically savvy audience while providing useful feedback to creative artists. “Have A Voice,” will be created as a cross-platform application that will allow an audience to share feedback at an event while simultaneously sharing content on the producer’s website and popular social media platforms such as Facebook and Twitter. An achievement rewards program will encourage users to remain active in the system in order to achieve virtual and/or physical rewards and prizes (for example: virtual badges, merchant discounts, tickets to participating partner events, etc.). AOP will partner with other performing arts organizations during the initial year of the application (BETA phase) to provide input and test its effectiveness in anticipation of a public launch in 2014. Current organizations participating are Mark Morris Dance Group, Theatre For a New Audience, Irondale Ensemble Project, and The Brick (Brooklyn, NY), HERE Arts Center (New York, NY), Opera On Tap (based in New York, NY with 12 national chapters), Opera Memphis (Memphis, TN), and UrbanArias (Arlington, VA). AOP’s goal is to share the “Have a Voice” brand with a wide range of performing arts companies so as to encourage the participation, attendance, and rewards amongst an ever-increasing network, while specifically enhancing awareness of the creative profile of opera. The complete list of organizations receiving Building Opera Audiences grants is: American Opera Projects (Brooklyn, NY), Arizona Opera (Phoenix, AZ), Florentine Opera Company (Milwaukee, WI), Los Angeles Opera, Madison Opera, Opera on the James (Lynchburg, VA), Opera Memphis, Opera Theater of Pittsburgh, San Francisco Opera, Sarasota Opera, Seattle Opera, Syracuse Opera and Vancouver Opera. New York, NY– AOP (American Opera Projects), The Edna St. Vincent Millay Society, ClaverackLanding, and Symphony Space co-present a world premiere performance of Beauty Intolerable, a collection of love songs composed by Sheila Silver based on the poetry of iconoclast and libertine Edna St. Vincent Millay and performed by a trio of operatic chanteuses. The songs are accompanied with poetry recitations by actresses Tyne Daly (June 8) and Tandy Cronyn (June 13). The song cycle will be presented on June 8 at 6 PM at First Presbyterian Church: 4th & Warren Streets, Hudson, NY 12534. A Manhattan premiere follows on June 13 at 7:30 PM at Leonard Nimoy Thalia at Symphony Space. Tickets will be available through the venues’ websites. A limited number of tickets to the Symphony Space performance which include VIP seating and a reception with the artists are available for $75 at AOP’s website. The concert will feature soprano Lauren Flanigan (La Scala, Santa Fe, Metropolitan and New York City Operas), mezzo-soprano Deanne Meek (Barcelona’s Gran Teatre del Liceu, Metropolitan Opera), and soprano Risa Renae Harman (New York City Opera, Glimmerglass Opera), with Kelly Horsted and Christopher Cooley on piano. Each performance is accompanied with poetry recitations by guest actresses Tyne Daly (Cagney & Lacey and Judging Amy), and Tandy Cronyn (Once Upon a Time in America and The Story Lady). Edna St. Vincent Millay (1892 – 1950) was an American lyrical poet and playwright known for her sensual poetic depictions of her love affairs. Receiving the Pulitzer Prize for Poetry and the Frost Medal for her lifetime contribution to American poetry, her work championed feminist activism. Born in Rockland, Maine, Millay moved to New York City, living a vibrant life with fellow writers in Greenwich Village. 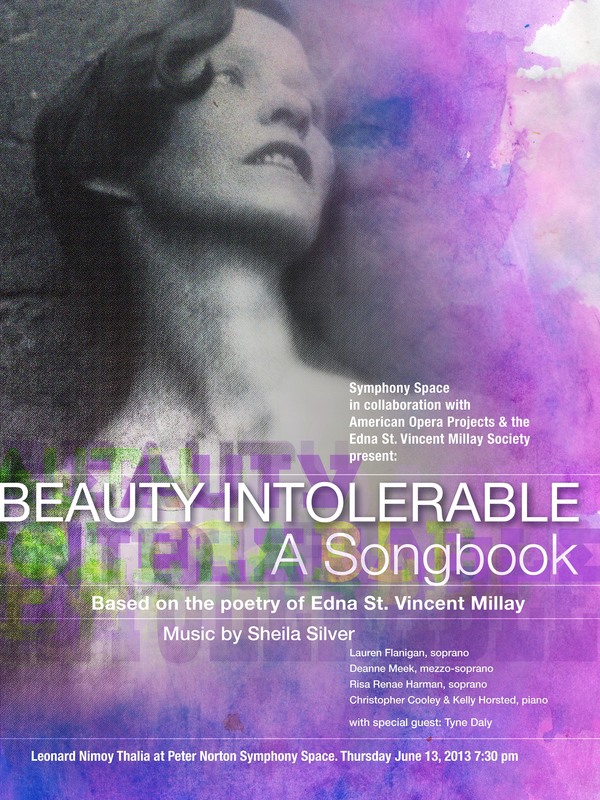 The New York Times described her as “an idol of the younger generation during the glorious early days of Greenwich Village […] One of the greatest American poets of her time.” Beauty Intolerable has been developed in collaboration with the Edna St. Vincent Millay Society. You are currently browsing the Have a Voice blog archives for May, 2013.